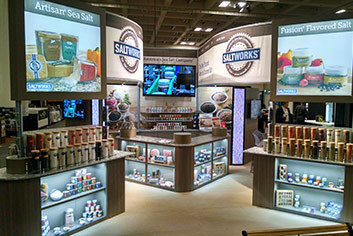 Awareness of the big picture for a trade show display is essential to exhibit design. Strategy is key to any successful marketing plan and your exhibit program is no exception. 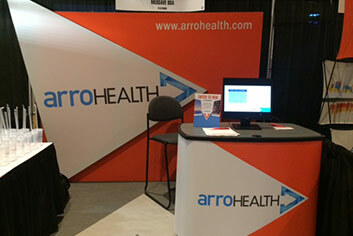 Properly identifying all pertinent variables is crucial to making a trade show exhibit and trade show display run smoothly and adhere to a strict timeline. Beyond design, lie the tasks of pre-show planning, on-site communication and post-show follow up. Let us handle all phases of planning for you. 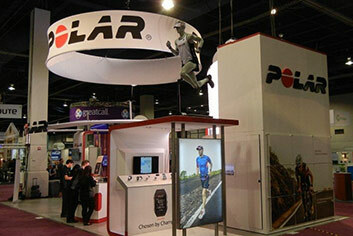 Effectively delivering the core of a company’s message is one of the most important features of a trade show display. Your trade show exhibit or trade show display should tell the story of you and your product. Only an experienced and innovative team can adequately capture the essence of what you’re trying to express. Thematic displays that work in agreement with your message, helps instill significance to your exhibit. Maximize your results by selecting a partner that approaches a marketing message like it’s our own. Interactive technologies are integrated into our trade show displays and trade show exhibits along with live shows and games to reinforce your message with the use of precise engineering. Spectacular graphics serve to attract interest and the interactive portion serves to retain customer attention. We have multiple methods to integrate interactive technology that effectively produces an unforgettable experience. Whether it’s setting up trade show displays, custom displays, portable displays, modular displays, exhibitions, museums, window displays, sales offices, corporate lobbies, or showrooms; we’ve done it and pride ourselves for being highly dependable. 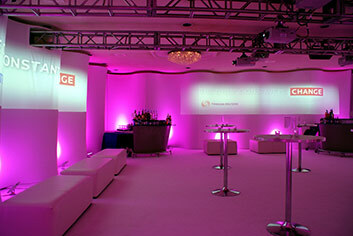 Trust our company to deliver quality and professionalism to ensure the success of your marketing event. We provide services throughout the US including major cities such as Orlando, New York, Dallas, Chicago and Los Angeles. Let us handle all phases of planning for you. Email or call us at 516-334-9766 ext. 310 find out how to get your product noticed.